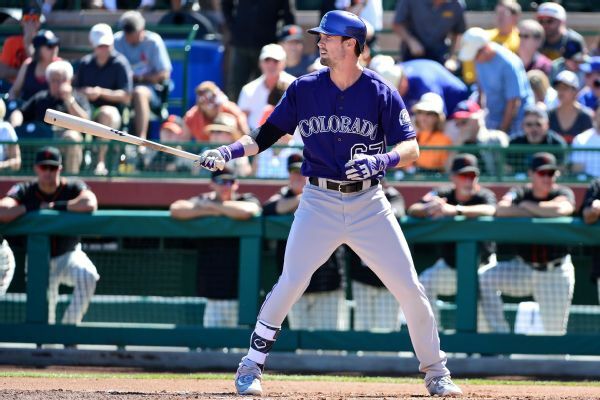 The Colorado Rockies will promote top outfield prospect David Dahl to the majors Monday before their game against the Baltimore Orioles, according to multiple reports. 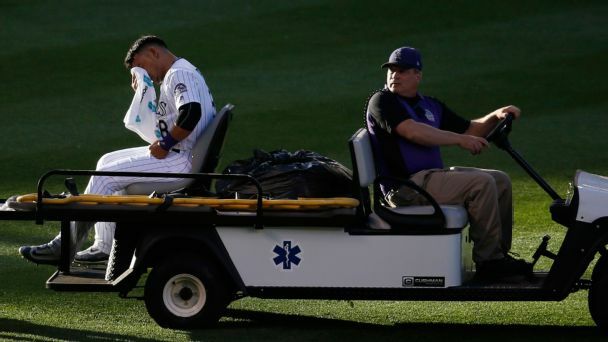 Colorado Rockies outfielder Gerardo Parra sprained his ankle Tuesday, and Brandon Barnes could be promoted if Parra lands on the disabled list. 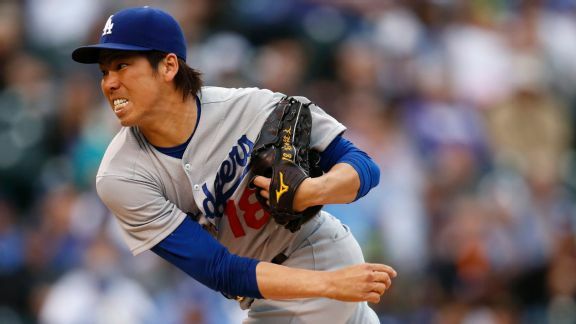 Kenta Maeda dominated the Rockies, taking a no-hitter into the sixth inning of a win over Colorado that lowered his ERA to 0.36. 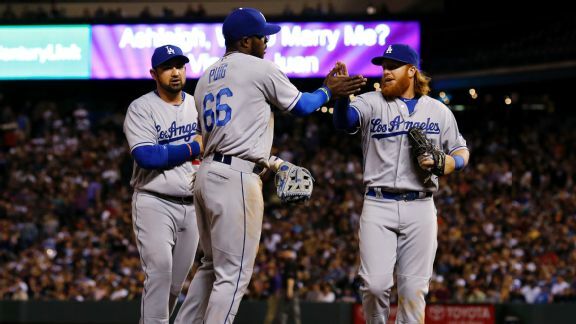 Yasiel Puig had the Dodgers in awe after his fifth-inning throw from right field sailed 300 feet to third base, nabbing the Rockies' Trevor Story. Jon Lester's two-hop toss barely beat the runner to first base, creating yet another viral moment for the pitcher. 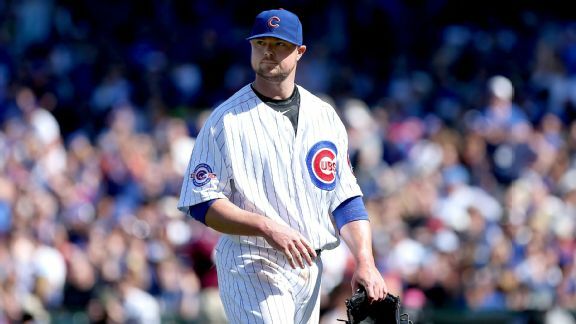 Jon Lester struck out 10, tried to help himself with a leadoff double and even saw one of his bounce-to-first throws get the guy, but it wasn't enough. 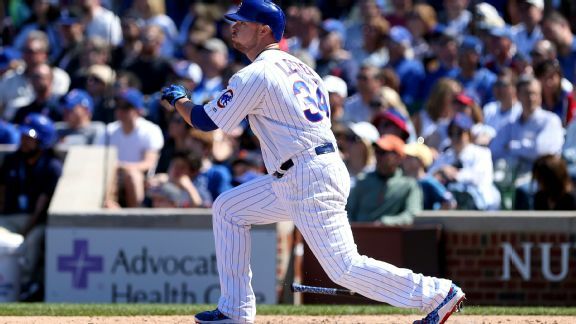 Jon Lester held the Rockies to just four hits and one earned run, but the Cubs failed to score at all in the loss to the Rockies. An injury to Daniel Descalso may have narrowed the field to Rafael Ynoa or Brandon Barnes. 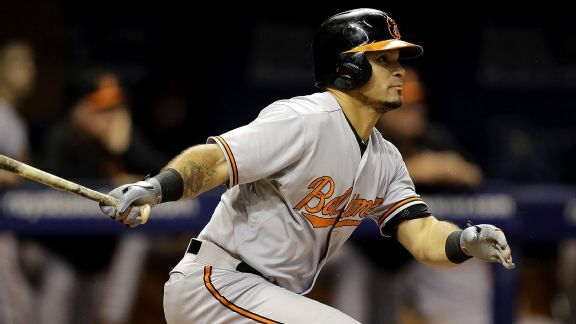 Rockies sign Gerardo Parra for outfield; is a CarGo trade next? Signing Gerardo Parra could make it easier for the Rockies to pursue a trade for Carlos Gonzalez. 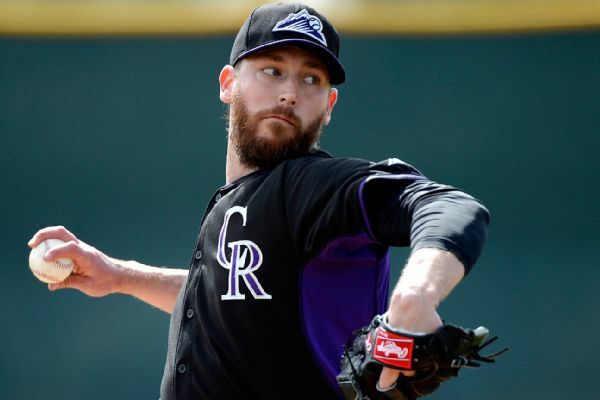 The Colorado Rockies have designated three relievers for assignment, including right-hander John Axford.